“My militia is watching over me” – “Моя́ мили́ция меня́ бережёт.” Maybe once, these lines of the Russian poet Mayakovsky, proud of the newly founded Soviet law-enforcement authority, were taken seriously, but unfortunately, not anymore. Russian police forces that till recently were called “militia” have become the paragon of corruption and inefficiency. In 2011, the militia was renamed into “police.” The main reason for the renaming was the hope that such a re-branding would reduce the level of corruption inside the Russian militia, but so far this brilliant measure doesn’t seem to have yielded any results. 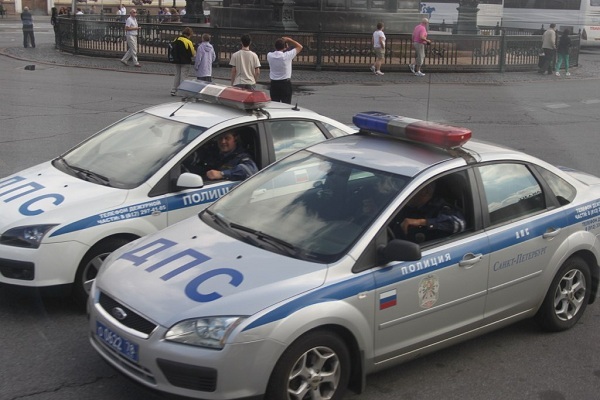 Which doesn’t mean that the police in Russia are an absolutely useless and dangerous institution. Some crimes are somehow being solved, and some policemen are indeed honest, brave people who do care about their job and try to serve society. Still, when visiting Russia, it’s better to be prepared that an average policeman you meet on the street will mostly be interested in squeezing some money out of you, so try not to give him a chance. The usual method of quiet money-making by a street policeman works like this: He’ll stop a “suspicious” person, find something slightly wrong, e.g., with his or her papers and expect the person to give him some money in exchange for not prosecuting this person. This bribery system functions best when your car is being stopped by the infamous road police – they’re extremely inventive in finding some imaginary petty offences. But if you are just a pedestrian, it’s easier to be on the safe side: Always carry your passport with you, and the police will have to reason to detain you. And, just as the heroine of our dialog, take care that your visa is in order, and that you have your registration stamped in your passport. Upon arriving to Russia, you have to register: Either in your hotel or somewhere else. When getting a visa, you also should get the address of a government authority in Russia which will register you. The registration is a pretty senseless procedure whose main purpose is, as usual, to get some money from you, but it’s better to put up with this cost than to have a not-so-nice conversation with a Russian policeman.